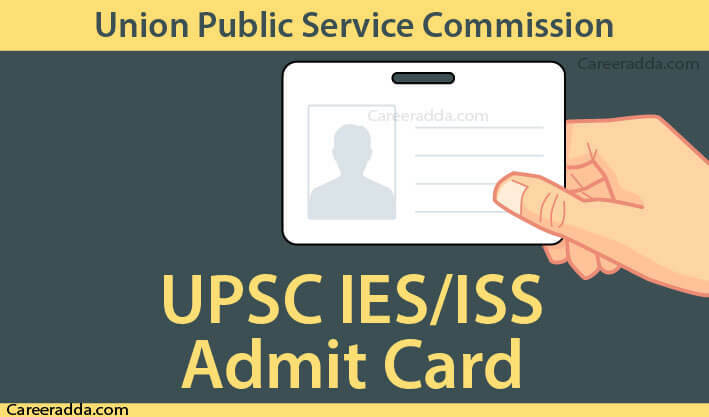 Download UPSC IES & ISS Hall Tickets 2019 : IES/ ISS Admit card 2019 will be released on UPSC official website @ upsc.gov.in. Candidates will be able to download admit card for Indian Economic service (IES) and Indian Statistical Service (ISS) written exam to be conducted from 28th June 2019. The Board will release the e-admit cards for all candidates who have successfully applied and paid the application fee three weeks prior to the written exam date. Candidates will be able to download their hall tickets once it has been uploaded by the commission online. IES/ISS admit card 2019 will be uploaded on the official website exactly three weeks before the commencement of the written exam. The UPSC will first release the admit card/hall ticket of the Part 1 written exam round followed by the call letter for the viva voice round. All those candidates who have filled in the online application and have also submitted the application fee (if not under exempted category) will be able to download their admit card by entering the necessary details. Candidates need to remember the fact that the admit cards have to be downloaded by them and the commission will not send the admit card by post to any candidate. The hall ticket/admit card/call letter is the most necessary document that needs to be carried by every candidate appearing in the written and viva voice exam. Candidates who fail to present their admit cards during checking shall not be given entry into the examination hall. The following steps will help candidates to download their UPSC IES/ISS admit card. Once the site has been opened, under the ‘what’s new’ section on the home page look for ‘IES/ISS admit card 2019’. Click on the link that has been provided. The page will be redirected to the admit card download page. Once the admit card download page has been opened, read the instructions that have mentioned there carefully and then click on ‘yes’. On the new page that flashes on the screen, candidates will have two options to download their admit card. Candidates can either download the admit card using their Registration ID or by using their Roll number. Once the required details have been entered, the admit card will flash on the screen. 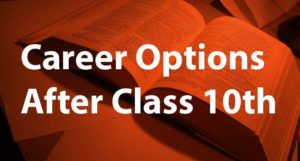 Candidates must go through all the details carefully and then download the admit card. Note : Candidates are advised to check all details such as name, roll no, registration no, signature, photograph, centre name, shift time etc. properly. In case of any error/discrepancy they must immediately contact the commission and bring the matter to their notice without any delay. Only issue of the e-admit card shall not be a guarantee of the fact that the candidature of the candidate has been successfully cleared. Candidates can find the following details on the Indian Statistical and Indian Economic Service exam admit card 2019. Mobile phones, gadgets, bluetooth devices, smart watches, etc are strictly banned inside the exam venue. Candidates who do not adhere to the instruction shall not allowed to proceed with the exam and may also be banned from appearing in all future exams. Any prohibited item/any costly item is not allowed to be brought in at the exam venue by candidates. The safety of their valuables will be the sole responsibility of the candidate himself/herself. The commission shall not be responsible for any kind of loss/damage. Impersonating any other person or making somebody else impersonate on their behalf shall result in cancellation of candidature. Candidates who behave in an inappropriate/illicit/false manner with any other candidate/staff shall not be allowed to proceed with his/her exam. Candidate need not bring with them their log tables, mollier tables, or any such necessary article with them. All such items that are necessary from the exam point of view shall be made available by the commission itself. Candidates are allowed to attempt only with ‘Black ball point pen’. Use of any other pen is not allowed. Candidates are advised to visit their examination venues in advance to avoid any hassle/problem/delay. Candidates must report 30 minutes prior to the commencement of the exam at the exam venue. Candidates arriving late shall not be allowed to enter the venue. All candidates must carry the below mentioned items/documents with them to the exam hall. No other item/document apart from these shall be allowed inside. A government approved photo ID proof like Aadhar card, Voter ID, Driving License, etc. Q. Will The UPSC Send The Admit Cards To The Communication Address? A. No, UPSC will not send any admit card by post. Candidates must download their admit card from the official website after it has been uploaded/released by the commission. Q. How Can The Commission Be Contacted In Case Of Any Error In The Admit Card? A. In case there is any error/discrepancy in the admit card, then candidates must immediately report the matter to the commission. Candidates can reach out to the commission through telephone on these numbers – 011 – 23385271/23381125/23098543 on working days between 10 a.m. to 5 p.m.
Q. Will The Candidates Receive A Chance To Select The Exam Centre? A. 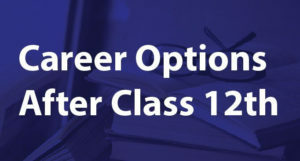 While filling in the application form, candidates will be given the chance to select preferences of exam centres from the list that has been given. However, the commission will allot centres based on availability of seats as well as the preference of the candidates. No claim for changing the exam centre shall be entertained.